If you’re thinking about installing solar panels on your roof, you’re probably dreaming of eliminating your energy bill entirely. Unsurprisingly, most homeowners match their solar system size to their average electricity consumption. Solar systems vary in the power they produce based on a number of factors, including the amount of sun the panels are exposed to and the number of panels in the system. In order to determine the ideal size for your solar installation, you’ll first want to examine a few of the factors that affect both demand and output. Electricity use in the United States varies by state, and your electricity needs may vary significantly from that state average—or even from the electricity usage of your next-door neighbor. For this reason, it’s important to use your own electricity bills as your baseline when deciding on a solar system size. Your solar installer will ask you to bring in a recent copy of your electricity bill to establish the number of panels you’ll need in your solar system. Each monthly bill usually includes your yearly total. The average American uses 10,812 kilowatt-hours (kWh) of electricity per year.1 Hawaiians have the lowest average in the country, at just over 6,000 kWh, while Louisianans use a whopping 15,000 kWh on average. Assuming you use close to the US average of roughly 900 kWh of electricity per month—or around 30 kWh per day—you’ll need more than just a panel or two to cover all of that usage. A typical solar panel comes in at about 250 watts. That wattage multiplied by the number of peak sun hours you get (we’ll use five hours in this scenario, but you should check a solar radiation map to find the exact numbers for your location) will give you the total kilowatt-hours of DC production a panel generates: 1,250 kWh per day, in this case. So to cover 30 kWh per day, you’d end up needing around twenty-four panels operating at 100% efficiency and with no loss across conversion. To account for the fact that you’ll lose between 20% and 25% of power generation as the panels convert from DC (the power the panels generate) to AC (the power your home uses), you’ll need to increase the system size slightly. For an array made of 250-watt panels, you’d end up needing between twenty-eight and thirty-two panels. Of course, there are big variations between the panels themselves. More expensive premium panels operate with higher efficiency, and they’ll likely also operate better in overcast conditions. An investment in premium panels comes with a higher initial cost, but the improved power generation will pay for itself over time. Homeowners in states with less than ideal weather conditions stand to benefit most from premium panels. The efficiency of a solar system is also heavily dependent on panel placement, shading, and local weather. Your solar installer will do a site visit to determine the ideal placement of your panels for maximum efficiency, but there is some tolerable loss from factors like roof angle, cloudy weather, or annual snowfall. You can compensate for this loss with a larger system size. 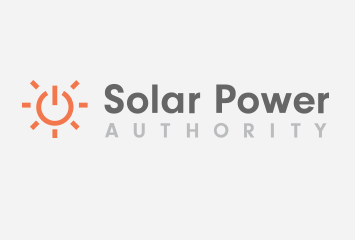 Generally speaking, customers with solar installations in areas that experience snowfall or a higher percentage of cloudy days will need larger solar systems to cover the same energy demands. To cover average energy use, homeowners in sunny southern California would need fewer panels than, say, homeowners in New Hampshire, due to cloud cover and snowfall. Other factors like dust and tree cover can also hurt your system’s efficiency; your local installer will have the expertise to foresee any issues that may impact your system’s performance and adjust your system size accordingly. Your solar system size may be affected by your roof space, angle, and slope, too. For maximum sun exposure in the United States, panels have to face south, with a tilt of approximately 30 degrees. Depending on where you live, the fixed angle of your solar panels can be optimized to maximize sun exposure. 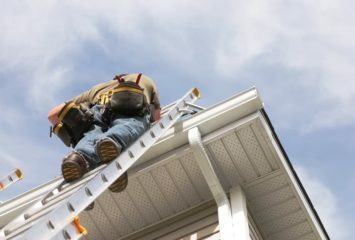 For instance, homeowners in Houston will receive maximum efficiency from an angle of about 25 degrees, while homeowners in Minneapolis will want a steeper angle of about 37 degrees.2 This is where the expertise of your solar installer comes into play; they have the technology and knowledge to maximizes your roof’s potential for solar power generation. During a site visit, it’s possible that your solar installer will find your available roof space inadequate for the size of system you want. This may be due to the angle of your roof, the amount of nearby tree cover or shading, or even the size of the roof itself. In this case, some homeowners opt for a smaller system size that will cover only a portion of their total electricity usage. Depending on the size of your property, a ground-mounted system may be a good alternative for matching your energy use without limiting your system to your available roof space. 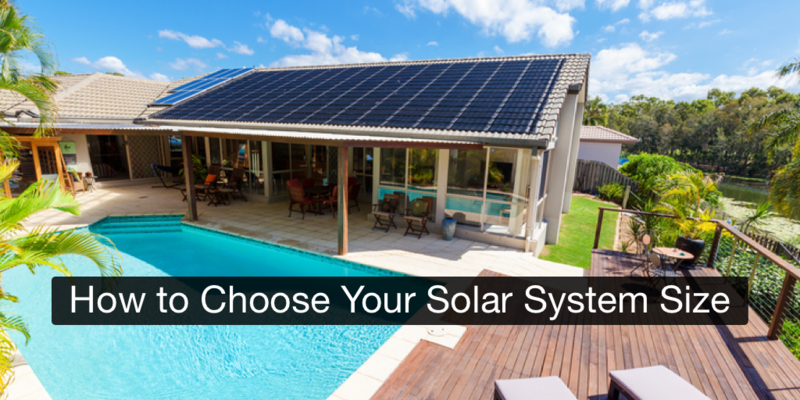 This option may be especially attractive for homeowners looking to limit the aesthetic impact of their solar system. Interestingly, many homeowners increase their electricity usage after installing solar panels. This phenomenon, known as the “Rebound Effect,” may be due to the psychologic impact of the “free” electricity produced by solar panels. If you install a system size based on your energy usage, you may still owe money to your utility if your usage patterns increase after the installation of your solar panels. In the event that your energy use does grow, you can choose to expand the size of your solar installation at a later date to compensate for this increased usage. However, controlling your energy usage through conscious energy-conserving lifestyle choices or energy-efficient appliances may be much more cost-effective. If you believe your property has good potential for solar power generation, the next step is to contact an expert solar installer for a site visit and consultation. Read more about some of our top solar installers or sign up to get a free quote. It really helped when you mentioned how you should consider the amount of sun you get in your area before choosing a solar energy system. I can understand that taking the time to understand this can help you find the best system to provide clean energy to your home. Personally, I would also want to have a professional to inspect my house to make sure my house is strong enough to support the weight of the solar panel system I need.